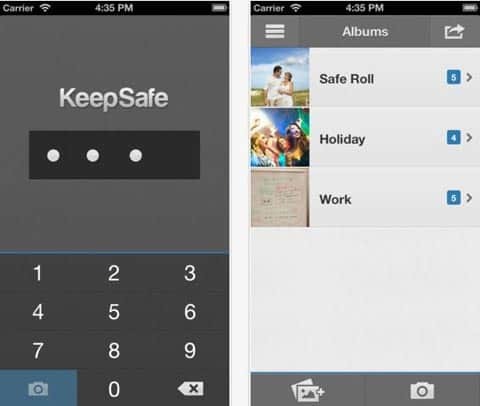 Hide your photos with KeepSafe- a private photo vault to hide pictures in a secret folder on your iPhone. 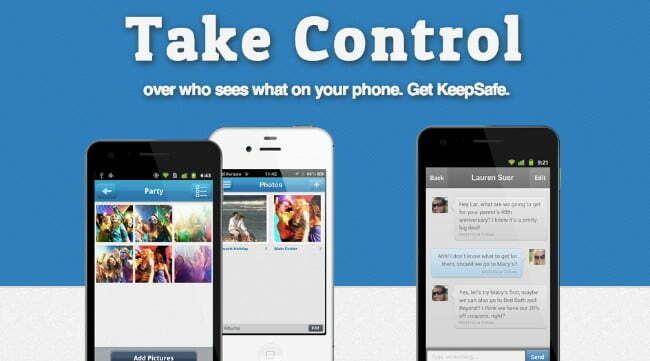 Keepsafe is ultimately a great way to easily and securely hide your photos from anyone. You don’t need jailbreak to use this free application. It is not easy to hide photos on iPhone, iPad or iPod Touch or protect them secretly. These are indeed accessible to anyone who can navigate through your device. Tweaks can add a password to open selected applications, but require access to Cydia, so use a jailbreak. Fortunately, some applications in the app store offer you the opportunity to put sensitive data, or just things that you want to keep private. Keepsafe is one of them which allow you to transfer photos inside a secure area in order to hide from anyone. When you first launch the application, you will just simply set up a four-digit PIN to protect access to your pictures folder. This password will be required each time you start Keepsafe to lock or unlock your private data. Therefore, here you are in your safe, which are displayed in your folders containing photos. In addition to protecting, it will allow you to list your photos into folders for better ranking. So you get a secure and organized photo album. Adding photos in Keepsafe can be done by a transfer from the library, or taking your photos from within the application. Using of this modern designed application is very simple. The handling is very simple and intuitive enough different actions. Each photo can be viewed, exported (to the library), moved (to another folder), or sent by email (just sent). Secure SMS sending is also available, and the time limit for viewing the photo 20 seconds for the recipient. This sends an internet link with the photo in question that self-destruct after 20 seconds. KeepSafe also offers a Fake PIN features that you have to pay for within other apps. Want to hide photo or data from anyone, use this free photo hiding application without any doubt. If you already download this app, let us know what you think. Tech-blogger & gadget-lover. Founded GetAndroidStuff.com and GetiOSstuff.com to help smartphone/tablet users to find the Best Free mobile Apps, Games.